So, you may remember a few months ago (April to be precise) I had a lovely day with photographer Rachael Smith as she took pictures of my flat for 25 Beautiful Homes magazine. Well, the time has come and the September issue featuring me (!) has hit the shelves. I was so excited to flick through the pages and find my home in print - one thing to tick off the bucket list! I have to admit I approached the lady at the counter in WH Smith with a bit of a smug grin but I did manage to refrain from telling her that I was in the magazine. That would not have been cool, ha ha! It's quite a weird feeling seeing your home through the eyes of someone else and it's easy to be critical of my own decorative choices but I think it holds its own against all the other fabulous homes in the issue. The biggest problem with seeing it from a fresh perspective is that now I can see the things that I want to change or improve (or perhaps that is an advantage?). I don't think it will ever be 'finished' as such, and a few things have already changed since these pictures were taken, but it is a wonderful to see how far it has come from its dingy rental roots. The hard work has paid off here and hopefully the rest of south-east London will soon catch up. There'll be an organic cafe selling bacon and brie paninis in SE18 before we know it! 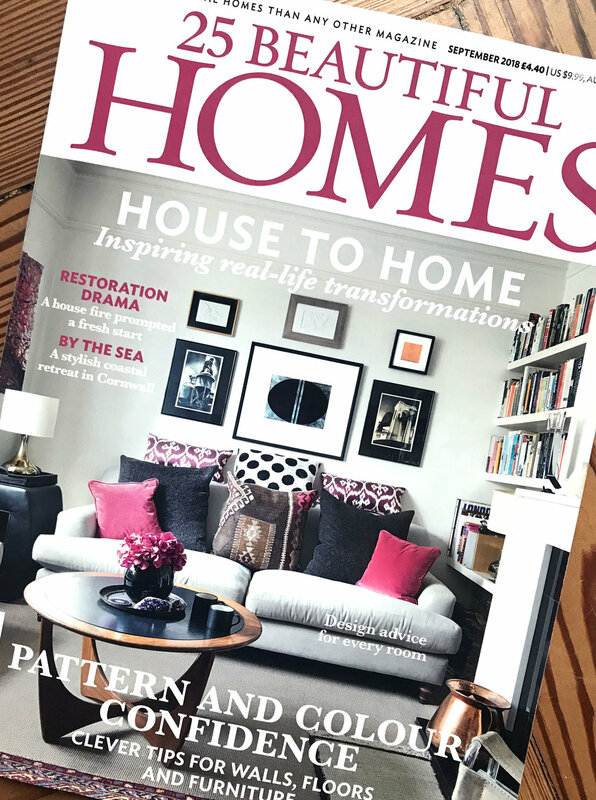 The September issue of 25 Beautiful Homes is out now.